TaoTronics, The Leading Brand of Bluetooth Transmitter Field. 5 years of business Experiences with more than 1.5 Million satisfied customers, First Choice of High Quality with proper price. Sunvalleytek is the only authorized seller of TaoTronics on Amazon. Turn your regular stereo audio devices into a Bluetooth-enabled, wireless streaming machine thru 3.5mm audio-out jack. User-friendly design of LED light and button. Work with any type and brand of device such as TV, PC, CD player, iPod, MP3/MP4 etc. up to 30 feet working range. Easy pairing with Bluetooth stereo headset, headphones, speakers and other Bluetooth stereo audio enabled system. Small, lightweight and durable! Take it with you and enjoy Bluetooth music anytime/anywhere for up to 7 hours! Can work while charging. Micro charging port. Wanna Save More Money? Enter code 7MHSR7IR at checkout to save $3.00 on High-Fidelity Music Transmitter for every 1 TV Transmitter TT-BA01U you purchase offered by Sunvalleytek. Thank you for purchasing TaoTronics TT-BA01 Bluetooth Stereo Transmitter. Please read the user manual carefully to understand its features and operation. If in doubt, please email support@taotronics.com with details. The TT-BA01 is a high definition Bluetooth stereo transmitter, which can make any stereo device a wireless device! It does this by decoding high definition stereo signals into Bluetooth digital signals that transmit to your Bluetooth receiving device. So, you can enjoy all the music from your non-Bluetooth mobile phone, iPod, Kindle Fire and even TV, wirelessly! This product has a built-in Lithium battery that can last for up to 7 hours on a full charge. 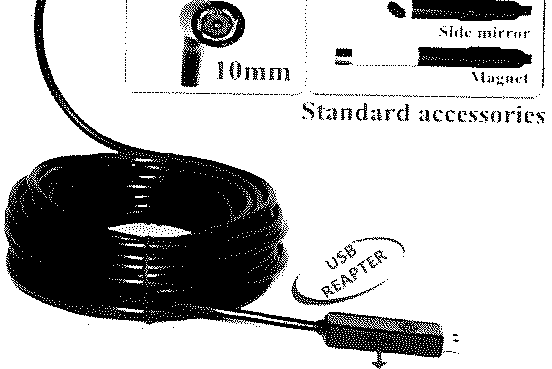 An audio or music playing device with a 3.5mm audio-out jack. least 4 hours before using for the first time. 3) The power LED will turn red when charging. It will automatically turn OFF when the transmitter is fully charged. Note: You can use the TT-BA01 while it is charging. The internal circuit is protected from over-charging. your Bluetooth receiving devices support Bluetooth A2DP (Advanced Audio Distribution Profile). In order for your TT-BA01 to pair with other Bluetooth device, you must bring the TT-BA01 into pairing mode. This is indicated by the LED indicator flashing in red and blue alternatively. make sure no other Bluetooth device around is in pairing mode. receiving device next to each other or within 3 feet distance. 3) Press and hold the power button for about 6-7 seconds or until the LED indicator is blinking in RED and BLUE alternately. You will see the blue light blinking first. Just keep holding the button and the light will soon change to blue and red flashing. follow the instruction of your Bluetooth receiving device to bring it into pairing mode and it should automatically pair with the TT-BA01. 5) Once successfully paired, the LED indicator will turn RED and then flash once every 10 seconds. When your device is switched on, it will automatically connect with the last paired device. To pair it with other devices, first switch off the old paired receiving device and then pair the transmitter to the new device using the same steps listed above. The TT-BA01 will stay in pairing mode for 2 minutes at most if no pairing device is found. Afterwards, it will go into standby mode until power off. The TT-BA01 will switch to standby mode if pairing devices is switched off or Bluetooth disconnected. The TT-BA01 is able to be used while charging. When the unit is charging, the RED LED will be lit constantly until charging is over. To avoid confusion when charging and using at the same time, we recommend pair the device first, and then start charging. Sometimes, the TT-BA01 will refuse to pair with other devices even if it is in pairing mode with red and blue light flashing. You will need to reset the transmitter to make it fresh and wanting to pair again. Do not drop or knock your transmitter on hard surfaces as it damage the interior circuit. ° Do not scrape the surface with sharp objects. You may need to try this a few times if it does not work on your first attempt. Please read the following recomm-endations to keep your product running smoothly for a long time to come. or hot areas. High temperatures will shorten lifespan of the transmitter, battery and/or the internal circuit board. Q: My transmitter will not switch on. Please recharge it and make sure the TT-BA01 has enough battery power. Plug the unit to a charger and see if the LED indicator will become red. I am having trouble pairing and connecting to my Bluetooth pairing device. read ‘how to clear memory’ for instructions. Q: After connecting and paring with my Bluetooth device, I cannot hear any music from my sound system. the volume is turned up. Q: Why can I not pair with my smartphone or iPad? A: The “I-I’-BA01 is a Bluetooth transmitter, NOT a receiver. You must connect the transmitter to a non-Bluetooth audio generating device such as a Kindle Fire, iPod, TV, computer, etc. Then pair it with your Bluetooth headset/speaker. Note:Due to Bluetooth compression/decompression, there may be a delay in audio/video uses. This is standard among all transmitters. Q: My device is flashing RED. Q: Can I use my transmitter while it is charging? Yes, we have updated the TT-BA01 transmitter since Dec 1st 2013, so now you can use it while charging. I haven’t used the TT-BA01 for a while, now the battery is dead. What can I do? For technical assistance, please email to SUPPORT@TAOTRONICS.COM with your purchase order number and a detailed description of your issue. We normally respond to enquiries within 24 hours. For more information, please visit www. TaoTronics.com. retailer and distributor. If the device fails due to a manufacturing defect, please contact TaoTronics Support (support@taotronics.com) immediately to launch a warranty claim. We will instruct you on how to return the defective unit back to us for repair and replacement. No return will be accepted without seller authorization. We can only provide after sale services for products that are sold by TaoTronics or TaoTronics authorized retailer and distributor. If you have purchased your unit from a different place, please contact the seller for return and warranty issues. Der -I-I–BA01 Bluetooth Stereo Transmitter, macht aus jedem Stereoger~t ein kabelloses Stereoger&fl Dazu werden Stereosignale entschlesselt und in digitale Bluetoothsignale umgewandelt, die an ein Bluetoothempfangsger~t gesendet werden. Dadurch erleben Sie Musikgenuss auf dem Ger~t Ihrer Wahl, ob Ihr Mobiltelefon ohne Bluetooth, iPod, Kindle Fire und sogar TV. Und das kabellos! Der eingebaute Lithium-Akku dieses Produkts h~lt bei vollerAufiadung bis zu 7 Stunden lang. Ein Audio-oder Musikabspielger&t mit einem 3,5 mm Audioausausgang. Eine Verbindung zu einem Bluetooth Stereoempfangsger~it, das das Bluetooth A2DP unterstQtzt, wie z.B. Bluetooth Kopfh6rer, Bluetooth Boxen, usw. Der Transmitter kann in ungef~hr 2 Stunden voll aufgeladen werden. Wir empfehlen, den TT-BA01 vor der ersten Verwendung mindestens 4 Stunden lang aufzuladen. 2) Stecken Sie den USB-Stecker des Ladekabels in einen USB-Ladeadapter oder einen aktiven USB-Anschluss. 3) Die LED leuchtet w~hrend des Aufladens rot. Sie schaltet sich automatisch aus, wenn der Transmitter voll aufgeladen ist. Hinweis: Sie k6nnen die TT-BA01 w~hrend des Aufladens verwenden. Die internen Schaltkreise sind vor 0berladung gesch(Jtzt. Hinweis: Stellen Sie vor dem Herstellen der Verbindung bitte sicher, dass Ihr Bluetoothempfangsger~it das A2DP (Advanced Audio Distribution Profile) unterstLitzt. AUSgeschaltet ist und sich kein anderes Bluetoothger~t in der N&he im Verbindungsmodus befindet. oder bringen Sie die Ger&te in einen Abstand von nicht mehr als 90 cm zueinander. Halten Sie den Knopf 6 bis 7 Sekunden lang gedreckt oder bis die LED abwechselnd rot und blau blinkt. Das blaue Licht wird zuerst Blinken. Halten Sie den Knopf einfach weiter gedr0ckt, bis die LED abwechselnd blau und rot leuchtet. Der TT-BA01 befindet sich nun im Verbindungsmodus.Schalten Sie jetzt Ihren Bluetoothempf~nger ebenfalls in den Verbindungsmodus (folgen Sie den Anweisungen des Herstellers). Die Verbindung zwischen den beiden Ger~ten sollte automatisch entstehen. Sobald eine Verbindung erfolgreich hergestellt wurde, blinkt die LED alle 10 Sekunden einmal rot auf. PIN ben6tigt wird, versuchen Sie eine der folgenden.,,0000 ,1234 ,1111 oder ,,8888. Ger~t herzustellen, schalten Sie bitte das Ger~t zu dembisher eine Verbindung bestanden hat AUS und f0hren Sie die Herstellung einer Verbindung gem~r& den oben genannten Schritten durch. Der TT-BA01 bleibt h6chstens 2 Minuten im Verbindungsmodus. Wenn bis dahin kein Ger~t fer eine Verbindung gefunden wird, kehrter zur0ck in den Standby Modus. Der TT-BA01 versetzt sich in den Standby-Modus, wenn das verbundene Ger~t abgeschaltet wird oder das Bluetoothsignal unterbrochen wird. Der TT-BA01 kann verwendet werden, w~ihrend sie aufgeladen wird. Wenn der Transmitter aufgeladen wird, leuchtet die LED rot bis die Aufladung vollst&ndig abgeschlossen ist. Um Verwirrungen beim gleichzeitigen Aufladen und Verwenden zu vermeiden, empfehlen wir die Verbindung zuerst herzustellen und dann die Aufladung zu beginnen. Fall m0ssen Sie einen Reset ausfOhren, um den Transmitter wieder in seinen urspr0nglichen Zustand zurQck zu versetzen. Dann k6nnen Sie wieder Verbindungen herstellen. Eventuell mQssen Sie diesen Vorgang einige Male durchfOhren, falls es beim ersten Mal nicht funktionieren sollte. Sonnenlicht oder an heil~e Pl~tze. Hohe Temperaturen verk0rzen die Lebensdauer des Transmitters, des Akkus und der internen Leiterplatte. Versuchen Sie nicht, das Produkt zu zerlegen. Dadurch k6nnen schwere Sch&den entstehen. Oberfl~chen fallen. Das kann die internen Schaltkreise besch~digen. Putzmittel, um das Produkt zu reinigen. Gegenst&nden an der Oberfl&che des Transmitters. Mein Transmitter I~sst sich nicht einschalten. Bitte OberprOfen Sie, ob der TT-BA01 genug Strom hat und laden Sie ihn gegebenenfalls auf. Verbinden Sie den Transmitter mit einem Ladeger~t und kontrollieren Sie, ob die LED Anzeige rot leuchtet. F: Ich habe Probleme mit dem Verbindung–saufbau zu meinem Bluetoothger~it. Schalten Sie alle anderen Bluetoothger~te in der Umgebung AUS. Stellen Sie sicher, dass der TT-BA01 und Ihr Ger~t sich nebeneinander oder nicht weiter als 90 cm voneinander entfernt befinden. Schalten Sie den TT-BA01 in den Verbindungsmodus (LED blinkt abwechselnd rot und blau). Sie mL~ssen eventuell den Speicher 16schen. Bitte lesen Sie dazu die Anweisungen im Abschnitt ,,Wie man den Speicher IBscht”. Nach dem Verbindungsaufbau mit meinem Bluetoothger~it kann ich keine Musik von meiner Stereoanlage h6ren. Stellen Sie sicher, dass der Audioeing-angsstecker des Transmitters mit dem Abspielger~t verbunden ist. Stellen Sie sicher, dass die Anlage Musik abspielt und die Lautst~rke nicht zu niedrig eingestellt ist. Warum kann ich keine Verbindung mit meinem Smartphone oder iPad herstellen? den Audiostecker des Transmitters mit einem Abspielger&t verbinden, das kein eigenes Bluetoothsignal erzeugt, wie z.B. Kindle Fire, iPod, TV, Computer, usw. Dann k6nnen Sie eine Bluetoothverbindung mit Ihren Bluetooth KopfhBrern oder Bluetooth Boxen herstellen. Hinweis: Aufgrund der Bluetooth Komprimierung und Dekomprimierung kann es zu VerzBgerungen beim Abspielen von Audio/Video kommen. Das ist normal bei Transmittern. Die LED meines Transmitters blinkt rot. Das signalisiert Ihnen, dass der Akku fast leer ist und der TT-BA01 wieder aufgeladen werden muss. F: Kann ich den Transmitter benutzen w~ihrend ich ihn auflade? Ja, wir haben am 01.12.2013 ein Update in den TT-BA01 Transmitter integriert, das dies ermBglicht. F: Ich habe den TT-BA01 I~ingere Zeit nicht benutzt und jetzt ist der Akku leer. Was soil ich tun? Sie darauf, dass die LED Anzeige einige Stunden braucht, um den Abschluss der Aufladung zu signalisieren. Bitte senden Sie uns bei der Kontaktaufnahme Ihre Bestellnummer und eine detaillierte Beschreibung des Problems. FQr gewShnlich antworten wir innerhalb von 24 Stunden. Ohne vorherige Autorisierung durch den H~indler werden Retouren NICHT akzeptiert. Anweisungen geben, wie Sie uns das defekte haben, wenden Sie sich bitte an Ihren Verk~ufer Produkt Zwecks Reparatur oder Ersatz zur Regelungvon GarantieansprQchen. Muchas gracias per su compra de TaoTronics TT-BA01 Bluetooth Est6reo Transmisor. Per favor lea el manual de usuario atentamente para conocer las caracterfsticas y operaciones mejor. Cualquier duda, per favor envienos un correo a support.es@taotronics.com con los detalles. audio o video con el tamafio del puerto de 3,5mm y soporta Bluetooth A2DP, tal come Bluetooth est6reo auriculares, Bluetooth altavoces, etc. TT-BA01 es un bluetooth transmisor est6reo de alta definici6n. Y puede decodificar sefiales est6reos de alta definici6n al sefiales digitales de bluetooth. Mt~sica de su tel6fono m6vil, PC o otros dispositivos de audio se puede transmitir inal&mbricamente a su dispositivo est6reo de receptor de bluetooth. Entonces podrfa disfrutar mtJsica en cualquier dispositivo est~reo inal~mbricamente come Smartphone, iPod, Kindle Fire o TV. Este producto tiene una bateria integrada de Li-polfmero, Io que puede soportar TT-BA01 funcionar 7 horas despu6s de una carga completa. El LED se encender~ en rojo cuando est~ cargado. Se apagar~ autom&ticamente cuando se carga completamente. Nota: Antes del emparejamiento, por favor asegure de que su receptor de Bluetooth soporta A2DP (Advanced Audio Distribution Profile). 1) Empezamos desde que se apaga el TT-BA01. Por favor asegure que no hay otro dispositivo en el modo de emparejamiento. para recibir Bluetooth dentro de la distancia de 3 feet. 3) Pulse y mantenga el Bot6n de Multi-Funci6n para 6-7 segundos o hasta que el indicador de LED est~ brillado en rojo y azul alternativamene. Puede ver la luz azul parpadeada primero. Y mantenga en pulsar el bot6n, luego la luz cambia a brillar en azul y rojo. Bluetooth a tocar al modo de emparejamiento y puede emparejar con TT-BA01 autom~ticamente. LED cambiarA en rojo y brillar~ una vez cada 10 segundos. Si requiere un c6digo de PIN para el emparejamiento, por favor trate los c6digos sig uientes:”0000″ “1234” “1111” or “8888”. Cuando su dispositivo se enciende, conectar~ autom~ticamente con el t~ltimo dispositivo emparejado.Para emparejar con los otros dispositivos, primero apague el dispositivo del viejo emparejamiento, y empareja el transmisor con el nuevo dispositivo usando los mismos pasos arriba. Cuando la unidad est~ cargando, el LED rojo est& brillando constantemente hasta que termina la carga. Para evitar las confusiones cuando est~ cargado y utilizado al mismo tiempo, le recomendamos que hace el emparejamiento primero, y luego comienza a cargarlo. Algunas veces, el TT-BA01 rechazar~ a emparejar con los otros dispositivos aunque est& en el modo de emparejamiento con la luz parpadeando en azul y rojo. Hay que reinicializar el transmisor a brillar y puede emparejarse otra vez. Mantenga el transmisorlejos de calory humedad. No intente dividir este producto, que se puede hacer dado f&cilmente. No Io deje tirar al suelo o al cualquier artfculo duro, que puede romper el circuito interior. No Io limpie con agentes quimicos a este producto. No Io raspe a la superficie del producto con cosas puntiagudas. Podria probar varias veces si no funciona con su primer intento. P: &Per qu~ no puedo encender mi transmisor TT-BA01? R: Por favor asegure si el transmisor tiene suficiente energia para funcionar. Si no, hay que recargarlo antes de utilizar. Por favor examine si su dispositivo de bluetooth soporta bluetooth A2DP. Confirme que el transmisor y su dispositivo est~n en la distancia requisita de emparejamiento de 1 metro. Examine si los dos dispositivos est~n en el modo de emparejamiento. Limpie la memoria del transmisor. Siga “~,C6mo limpiar la memoria?” en concreto. Asegure que el jugador est~ jugando la mt~sica y el volumen ya se enciende. &Por qu~ no puedo emparejar el transmisor con mi smartphone y iPad? TV, ordenador etc. Luego empar6jelo con su Bluetooth auriculares/altavoces. Nota: A causa de la compresi6n/descompresi6n de Bluetooth, el retraso de audio/video es muy comt3n entre todos los transmisores. transmisor y se necesito recargar pronto. &Puedo utilizar el transmisor cuando est& cargando? No he utilizado el TT-BA01 por un tiempo, ahora la bateria ya est& muerta. &Cbmo puedo hacer? Si el dispositivo no se ha utilizad0 m~s de 21 dfas, por favor c&rguelo para 4 horas por Io menos porque la baterfa necesita una carga completa y varias horas despu6s la luz de LED indicador le muestra que la recarga ya est~ completa. Para la asistencia t6cnica, por favor envie correo a SUPPORT.ES@TAOTRONICS. COMcon su ntJmero del pedido y las descripciones detalladas de su duda. Normalmente vamos a responderle dentro de 24 horas. Para m~s informaciones, por favor visite www. Ninguna devolucibn ser& aceptada sin la autorizacibn de vendedor. 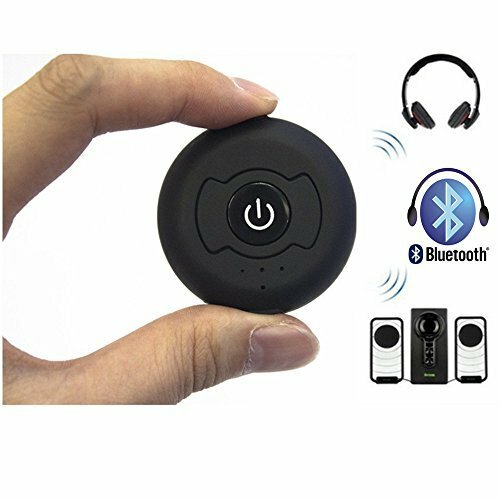 signaux st6r6o de haute d6finition en signaux num6riques Bluetooth qui peuvent 8tre transmis ~ votre appareil de r6ception du st6r6o Bluetooth. Ainsi, vous pouvez profiter de toute la musique de votre t616phone mobile non-Bluetooth, iPod, Kindle Fire et meme la t616vision, sans il!! Ce produit dispose d’une batterie int6gr6e au lithium. La dur6e de la batterie sera au moins 7 heures apr~s changement complete. Un lecteur de musique ou d~audio avec une prise de sortie audio de 3,5mm. Le transmetteur peut 6tre compl6tement recharg6 en environ 2 h. Nous vous conseillons de le charger au moins de 4 heures avant la premiere utilisation. Maintenant le transmetteur TT-BA01 est en mode d’appariement. Veuillez suivre les instructions de votre appareil de r6ception Bluetooth pour le mettre aussi en mode d’appariement, puis il doit appairer automatiquement avec le TT-BA01. Si la connexion est bon, LED indicateur s’allume en rouge, et puis cligonte une fois chaque 10 secondes. Afin d’appairer votre TT-BA01 avec un autre p~riph6rique Bluetooth, veillez mettre le TT-BA01 en mode d’appariement. Ceci est indiqu6 par LED indicateur rouge et bleu clignotant en alternance. Commencez par le TT-BA01 6teint. Le transmetteur se connectera automatiquement avec rappareil qu’est appari6 la derni6re lois. Si vous avez besoin de connecter le transmetteur avec des autres appareils Bluetooth, veuillez fermer le dernier appareil r6cepteur appari6, et suivre les 6tapes ci-dessus, enfin apparier le transmetteur avec le nouvel appareil. transmetteur et votre appareil de r6ception Bluetooth moins de 1 m6tre. Le TT-BA01 restera en mode d’appariement pendant 2 minutes tout au plus si aucun appareil d’appairage se trouve. Ensuite, il se met en mode de veille jusqu’~ ce qu’il s’6teigne. Le TT-BA01 peut ~tre utilis6 quand il est en train de charger. Lorsque le TT-BA01 est en charge, LED rouge s’allume constamment jusqu’& ce que le chargement soit termin& Pour ~viter toute confusion quand vous chargez et utilisez le transmetteur en m6me temps, nous vous recommandons d’appairer d’abord I’appareil de r~ception, puis de commencer ~ charger le transmetteur. Parfois, le TT-BA01 refusera d’appairer avec d’autres appareils, m6me s’il est en mode d’appariement avec le clignotement alternatif en rouge et en bleu de LED. Vous aurez besoin de remettre le transmetteur pour le faire appairer de nouveau. Veuillez lire les conseils suivants pour obtenir une Iongue esp6rance de vie de votre produit. circuit interne sera r6duite dans la situation d’haute temp6rature. ° N’ essayez pas de d6monter le transmetteur. d~tergents pour nettoyer votre appareil. Vous avez peut-~tre ~ essayer ies 6tapes ci- pas 6tre allum~? chargeur pour v6rifier si LED indicateur s’allumera en rouge. Q: Pourquoi le TT-BA01 ne peut pas s’apparier et se connecter avec mes appareils de rSception Bluetooth? 2) Assurez-vous que vous avez 6teint d’autres appareils de r6ception Bluetooth autour. BA01 et I’appareil de r~ception Bluetooth est moins de 1 m#tre en appariant. d’appariement avec le clignotement alternatif en rouge et en bleu de LED indicateur. Vous avez peut-#tre besoin d’effacer la m6moire. 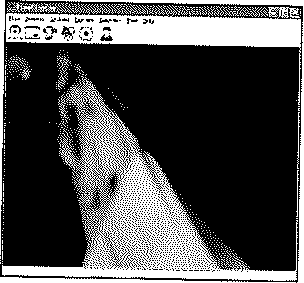 Veuillez bien lire << comment effacer la m6moire >> pour obtenir des instructions. Q: Pourquoi je ne peux pas ~couter la musique par les appareils de rdception Bluetooth apr~s I’appairage? 2) Assurez-vous que le lecteur joue de la musique et le volume est mont6. Q: Pourquoi le TT-BA01 ne peut pas ~tre appair~ avec mon smart phone ou i.Pad? Le TT-BA01 est un transmetteur Bluetooth, PAS un r6cepteur. Branchez-vous le TT-BA01 dans un appareil sans r6cepteur Bluetooth, par exemple le KindleFire, iPod, t~l~viseur, etc. Ensuite, il appariera automatiquement avec votre casque audio/ haut-parleur de st~r6o Bluetooth pendant le processus d’appairage. Remarque: En raison de compression / d6compression de Bluetooth, il peut y avoir un retard dans I’utilisation audio / vid6o. C’est normal chez tousles transmetteurs. Q: Puis-je utiliser mon transmetteur quand il est en train de recharger? bien avec le lecteur, chargement. Q: Je n’ai pas utilisd le TT-BA01 pendant un certain temps, maintenant la batterie est morte. Que puis-je faire? Si letransmetteur n’a pas ~t6 utilis6 pendant plus de 21 jours, veuillez le recharger pour au moins 4 h, c’est parce que la batterie aura besoin d’une charge compl6te. Soyez conscient que LED indicateur peut prendre plusieurs heures pour vous montrer I’ach6vement de recharge. Pour obtenir une assistance technique, veuillez nous 6crire avec votre num~ro de commande et une description d6taill6e de votre probl6me ~ I’adresse emai suivant: SUPPORT.FR@TAOTRONICS.COM. Nous r6pondons normalement ~ vos demandes de renseignements dans les 24 heures. Pour plus d’informations, veuiltez visiter notre site: www.TaoTronics.com. nous retourner le produit d6fectueux pour la r~paration ou le remplacement. Aucun retour ne sera accept6 sans rautorisation de vendeur. distributeurs autoris6s. Si le transmetteur tombe le vendeur-I~ pour les questions de retour et de en panne & cause d’un d6faut de fabrication, garantie. ad alta definizione, che si pu6 rendere qualsiasi dispositivo stereo di un dispositivo WirelessJ Decodifica i segnali stereo ad alta definizione ai segnali digitali Bluetooth che trasmettono al dispositivo ricevente Bluetooth. Potrebbe godere della musica con i dispositivi non-Bluetooth come cellulare, iPod, Kindle Fire e anche Tk/in modalit& wireless! Questo prodotto ha una batteria al litio incorporata che si pu6 durare per 7 ore quando si ~ completamente caricato. 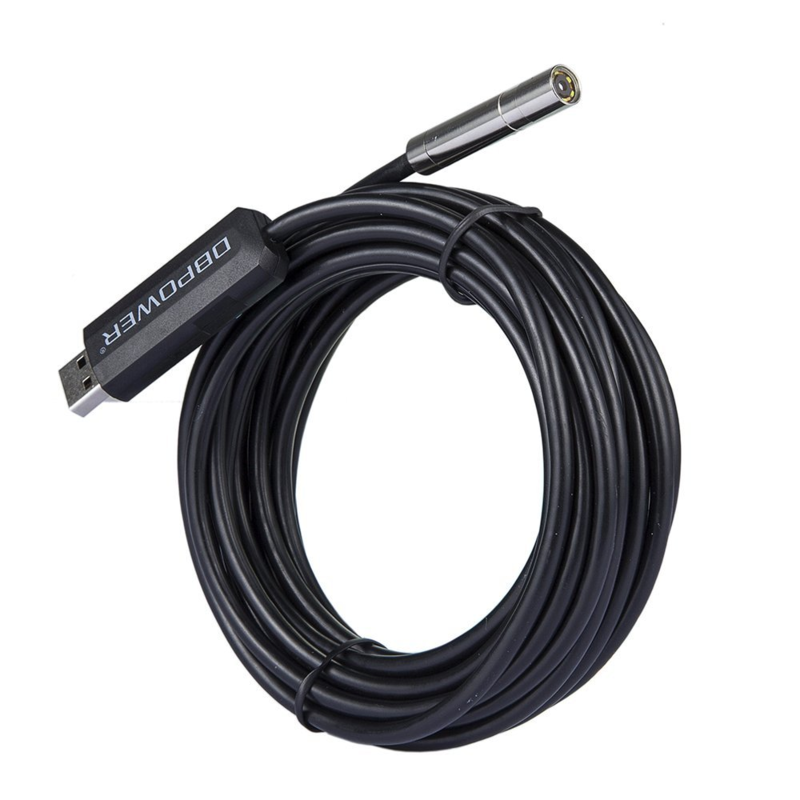 un jack di uscita audio da 3.5mm. Bluetooth A2DP, come Auricolari e Altoparlanti Bluetooth, ecc. Questo trasmettitore si pu6 ricaricare completamente per 2 ore. Si consiglia di ricaricare per almeno 4 ore prima di utilizzarlo. 1) Inserire I’estremit& maschio del cavo USB nella porta di ricarica del trasmettitore. Plusare I’estremit& maschio del cavo USB a un adattatore di ricarica USB o alter porte USB. Quando si ricarica, il LED diventer~ a rosso. Si spegne automaticamente quando il trasmettitore ~ completamente ricarica. Nota: Potrebbe utilizzare il TT-BA01 quando …. sie ricarica. II circuito interno# protetto da sovraccarica. prega di assicurarsi che i Suoi dispositivi riceventi Bluetooth supportano Bluetooth A2DP (Advanced Audio Distribution Profile). Per accoppiarsi con altri dispositivi, necessario portare il TT-BA01 in modalita di accoppiamento, ci6 che I’indicatore LED lampeggia alternativamente rosso e blu. prega di confermare che nessun altro dispositivo Bluetooth intorno 6 in modalita di accoppiamento. di pontenza per 6-7 secondi o fino a quando il LED lampeggia alternatamente in rosso e blu. II LED Blu lampeggia prima, tenendo premuto il plusante e il LED sara diventato blue rosso. 5) Quando i dispositivi sono accoppiati con successo, il LED diventa rosso e poi lampeggia una volta ogni 10 secondi. Se viene richiesto un codice PIN per accoppiamento, si prega di provare i codici seguenti: “0000” “1234” “1111” or “8888”. Quando il trasmettitore ~ acceso, si collega automaticamente con I’ultimo dispositivo accoppiato. Per accoppiarlo con gli altri dispositivi, spegnersi prima I’ultimo dispositivo di ricezione e quindi accoppiare il trasmettitore al nuovo dispositivo. II TT-BA01 sara rimasto in modalita di accoppiamento per 2 secondi al massimo se non trovarsi dispositivo accoppiato. Poi, si entra alia modalita standby fino a quando si scaricato. II TT-BA01 sara entrato in modalita di standby se il dispositivo accoppiato 6 chiuso o la connessione Bluetooth viene interrotta. si carica e si utilizza allo stesso tempo, consigliamo di accoppiare il dispositivo prima, e poi avviare la carica. A volte, il TT-BA01 si rifiuter~ di accoppiare con altri dispositivi anche se 6 in modalit~ di accoppiamento con lampeggiata del rosso e blu. In questo caso, 6 necessario reimpostare il Trasmettitore per renderlo fresco e di voler accoppiare nuovamente. Potrebbe essere necessario provare un paio di volte se non funziona al primo tentative. Si prega di leggere I seguenti suggerimenti per rnantenere il Suo prodotto in funzionamento per un lungo tempo a venire. Non posizionare direttamente il prodotto alia luce solare o negli ambienti caldi. Elevate temperature potrebbero abbreviare la durata della vita del trasmettitore. Non tentare di smontare il prodotto. Potrebbe causare gravi danni. Non far cadere o buttare il trasmettitore su superfici dure perch6 potrebbe causare la danneggiata di circuito interno. Non usare prodotti chimici o detergent per pulire il prodotto. Non graffiare la superficie con oggetti appuntiti. Q: Non posso accedere il trasmettitore. BA01 ha una carica sufficiente. Rendere ricaricarsi e vede se il LED diventa rosso. Si prega di confermare che il TT-BA01 eil Suo dispositivo sono vicini a 1 metro. I~ necessario di rendere il TT-BA01 entrare nella modalit& di accoppiamento, ci6 che il LED rosso e blu lampeggiano alternativamente. Potrebbe essere necassario cancellare la memoria. Si prega di leggere “come cancellare la memoria” per le istruzioni. dispositivo dopo aver accoppiato con il mio dispositivo. musica e il volume sia acceso. Q: Perch~ non si pub accoppiare con il mio smartphone o iPad? Bluetooth audio come un kindle Fire, iPod, TV, computer, ecc. Poi accoppiarsi con il Bluetooth cuffie/altoparlante. Nota: A causa del Bluetooth compressione/ decompressione, ci sara un ritardo in audio/ video. Questo ~ normale tra tutti i tramettitori. Q: II mio dispositivo lampeggia in rosso. essere ricaricata al pie presto. Q: Posso utilizzare il mio trasmettitore mentre si ~ carica? Si, abbiamo aggiornato il trasmettitore TT-BA01, quindi ora 6 possible utilizzarlo durante la ricarica. Non ho usato il TT-BA01 per lungo tempo, ora la batteria ~ “morta”, cosa posso fare? Se I’unit~ non ~ stata utilizzata per pie di 21 giorni, si prega di caricare I’unit& per almeno 4 ore, perch6 la batteria ha bisogno di una carica completa. Per quanto riguarda I’assistenza di tecnologia, si prega di inviare email a support.it@taotronics. corn con il Suo ordine e la descrizione del Suo problema. Di solito rispoderemmo entro 24 ore. Per quanto riguarda ulteriore imformazioni, si prega di vedere www.TaoTronics.com. Offriamo un anno di garanzia sul prodotto dalla data dell’acquisto originale per I difetti di fabbricazione. Se I’apparecchio ~ danneggiato a causa di un difetto di fabbricazione, si prega di contattare immediatamente TaoTronics Supporto (support.it@taotronics.com). L’istruiremmo la restituzione del prodotto difettoso per la riparazione e la sostituzione. Danni causati a disastro naturale. Nessun ritorno sara accettato senza autorizzazione di venditore. Possiamo fornire soltanto i servizi post-vendita per i prodotti che vengono venduti da TaoTronics o TaoTronics autorizzati rivenditori e distributori. Se ha acquisto it Suo apparecchio da un posto diverso, si prega di contattare il venditore per le questioni di ritorno e di garanzia. Danni causati a uso improprio, abuso.